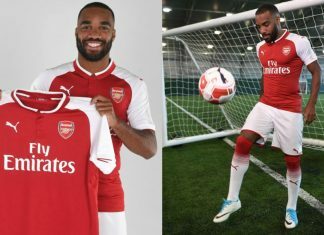 French forward Alexandre Lacazette set up a club record transfer fee of Premier League side Arsenal with a move from Ligue 1 outfit Lyon on Wednesday. 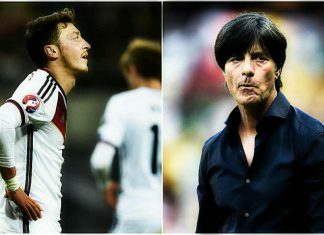 While Germany celebrates its young Confed Cup heroes, its 2014 world champions find themselves under attack. Arsenal star Mesut Ozil is enjoying his summer holiday taking a ride on a boat at 130mph with lady love Amine Gulse in Turkey. 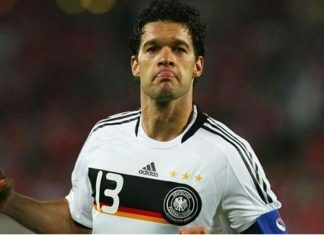 After putting the new contract on hold, the German International is being linked with a move away from the Emirates. 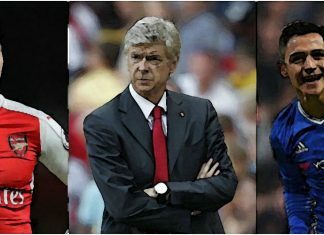 Arsene Wenger has come under intense pressure with his contract due to expire as a top-four Premier League finish looks unlikely for Arsenal. 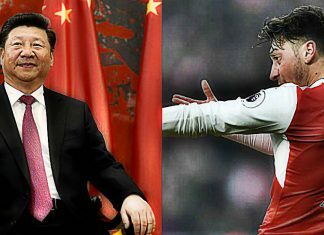 Arsenal star Ozil was offered a £100million to join CSL last year after becoming the favourite player of the Chinese president Xi Jinping. 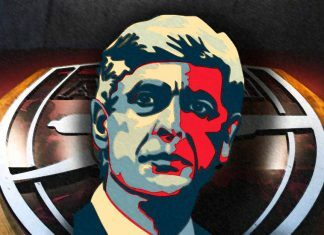 There have been Arsenal fans banging the 'Wenger Out' drum for several years now, but this season it has become a global phenomenal. 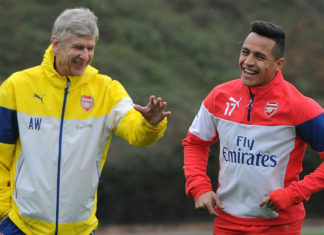 Arsenal boss Arsene Wenger refused to confirm Alexis Sanchez has been offered a new £300,000-per-week contract. 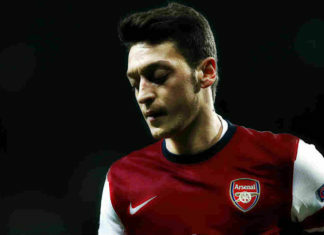 Arsenal midfielder Mesut Ozil feels the club are not good enough to fight for trophies and remains undecided on his long-term future. 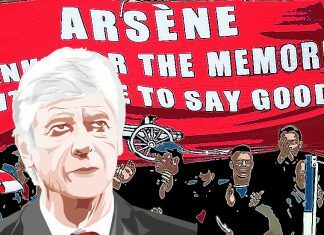 Arsenal boss Arsene Wenger has ridiculed a fan protest outside the club's training ground, claiming the move was a waste of time and energy. 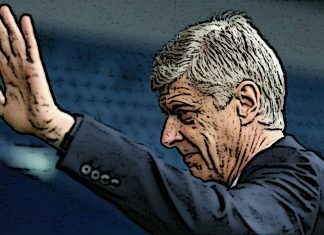 Arsene Wenger has stressed he will "soon" reveal whether he will stay at Emirates Stadium or leave the club after more than two decades. 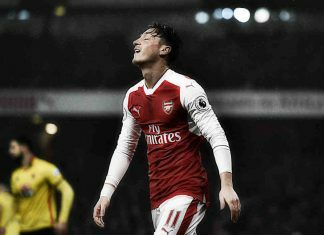 Mesut Ozil has claimed he is usually the player to be singled out when Arsenal are struggling, but insists his record speaks for itself. 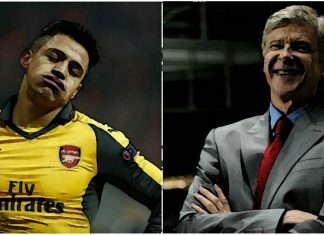 Arsene Wenger says he is not worried about the speculation linking Alexis Sanchez with Chelsea, joking that there is only one team in London. Alexis Sanchez has dropped a strong hint that he wants Arsenal to improve or he could seek a transfer away to London rivals. 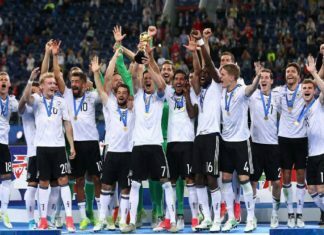 German head coach Joachim Loew is determined to continue his side's 100 percent record in the qualifying campaign for the 2018 World Cup. 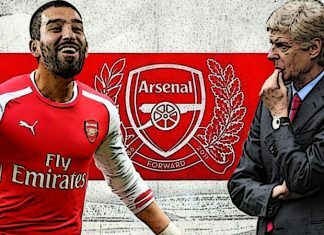 Arsenal are plotting a £25million bid for Arda Turan as they brace themselves for Alexis Sanchez and Mesut Ozil leaving. 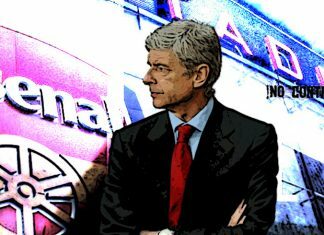 Wenger will have talks with the Arsenal' board after admitting publicly that he has made up his mind on his future. 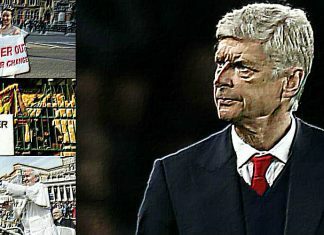 Under-fire Arsenal manager Arsene Wenger says he has made a decision on his future that he will announce soon. 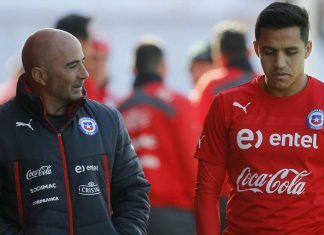 Alexis Sanchez possesses the ability to turn Arsenal's season around, according to his former Chile coach Jorge Sampaoli. About 200 supporters met at the club's old Highbury stadium where they sung 'We want Wenger out' before walking en masse to the Emirates. Mesut Ozil is followed by a film crew as he gets to grips with slicing through a donor kebab instead of defences. 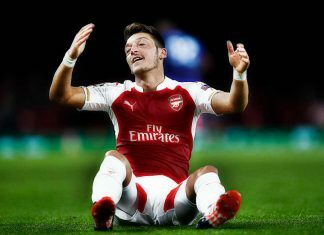 Mesut Ozil was again criticised for his lack of influence on the game as Arsenal suffered a hammering at the hands of Bayern Munich. 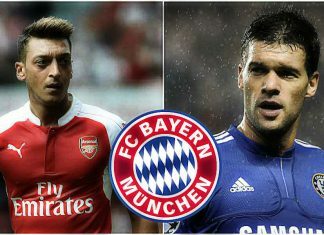 Michael Ballack said Mesut Ozil 'knows' he is one of Arsenal's standout stars and he should return to homeland with Bayern Munich. 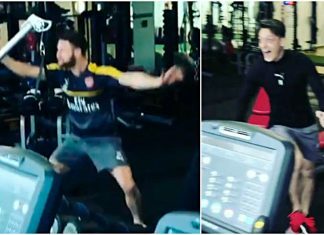 Tennis legend Roger Federer's record Australian Open triumph made many Arsenal stars go mad on Sunday during their gym session. 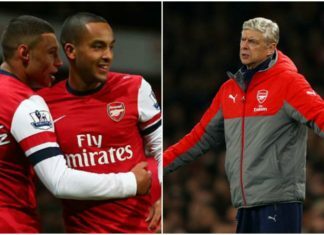 Arsene Wenger admitted that his side are in a crucial period over the coming months and his experienced players need to step up. Just 24 hours after Mesut Ozil insisted he was comfortable in London, Alexis Sanchez mirrored his words to allay fears over Arsenal exit. 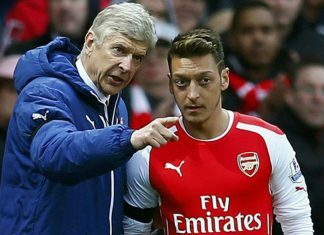 Asene Wenger has revealed that his own future will determine whether star midfielder Mesut Ozil will sign a new deal at with Arsenal. Mesut Ozil has once again insisted that he wants Jack Wilshere's vacant number 10 jersey at Arsenal despite contract issue. Arsenal winger Alex Oxlade-Chamberlain has revealed how Arsene Wenger killed the dressing room vibe by playing Frank Sinatra. 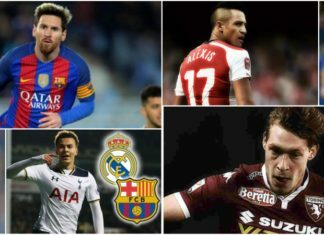 A run down of all the top football transfers news and rumours of the day. 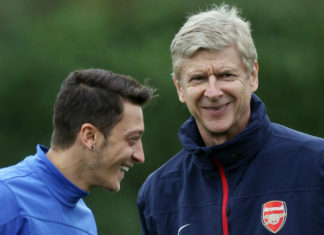 Mesut Ozil has claimed that he wants to see Arsene Wenger staying at Arsenal before committing his future to the club. 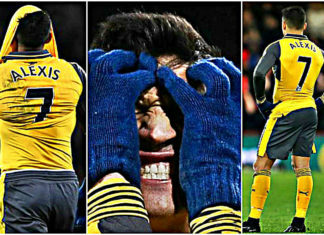 Paris Sanit-Germain are preparing a whooping €70 million bid for Arsenal striker Alexis Sanchez as his contract tussle continues. Arsenal star Alexis Sanchez could leave the club if Atletico Madrid's Antoine Griezmann signs for Manchester United. 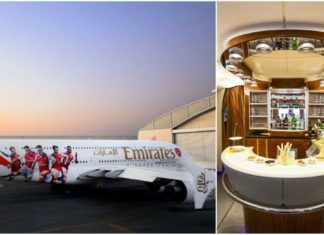 Premier League giants Arsenal have unveiled a brand new aircraft that will fly their team to European fixtures from now onwards. 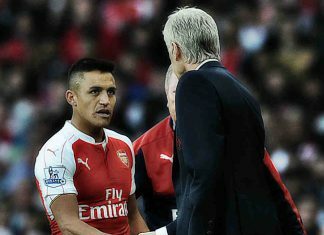 Difference in attitude between Alexis Sanchez and his teammates is the reason why the Chilean might opt for making a move to test new waters. Arsenal's French striker Olivier Giroud has confirmed that he is ready to sign a new deal with the Gunners. 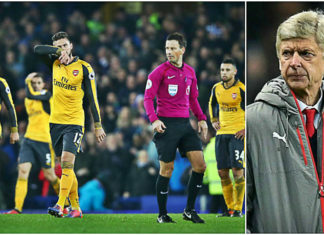 Arsene Wenger has cancelled out Arsenal's Christmas celebrations after suffering a disappointing defeat to Manchester City. 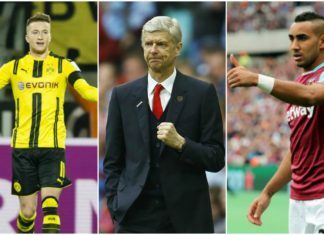 Arsene Wenger is planning to swoop for Dimitri Payet and Marco Reus if he fails to hold on to star men Mesut Ozil and Alexis Sanchez. 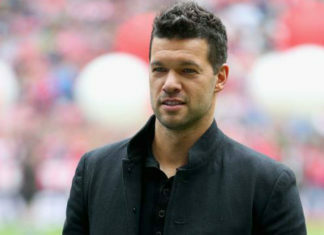 Chelsea legend Michael Ballack has trolled Arsenal on Twitter after their disappointing loss to Manchester City at the Etihad stadium. 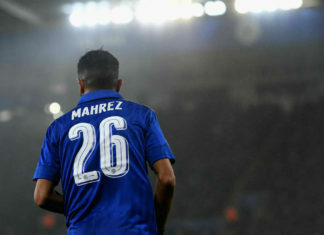 Footballing superstars are known for grabbing headlines off the pitch through various antics and scandals. 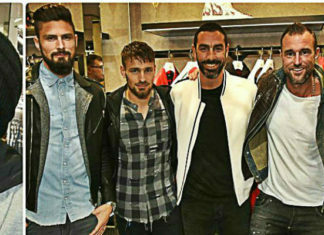 It was a London night cocktail party for various Arsenal, Chelsea and Tottenham Hotspur players during the Philippe Plein store opening. 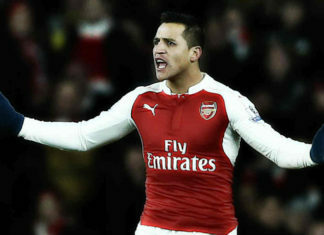 Alexis Sanchez's tussle with Arsenal over a new contract is set to drag on until the summer after the Gunners latest offer was rejected. 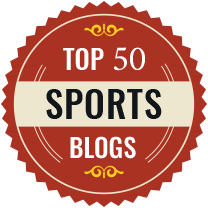 Here are the top 10 Bollywood Actresses and their favorite footballers from across the world. 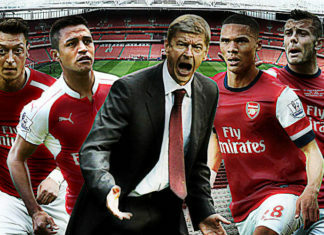 Wenger admitted that he is desperate to tie down Alex Oxlade-Chamberlain despite the club stalling negotiations over a new deal. 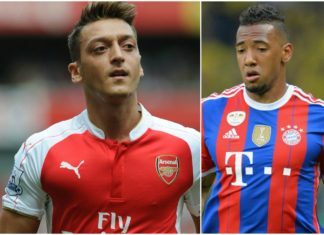 Ozil has warned his Germany teammate Jerome Boateng after Arsenal were drawn with their old enemies Bayern Munich in the last-16 of UCL. 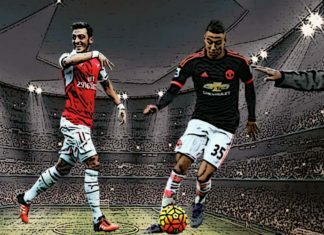 Arsenal has waged war against rivals Manchester United over Mesut Ozil as they are set to make a move for Red Devils youngster Jesse Lingard. Arsenal boss Arsene Wenger claimed that not just Mesut Ozil and Alexis Sanchez but 8 other first-team players could leave for free in 2018. 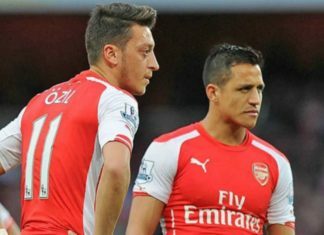 Wenger has now hinted that he would rather lose the Gunners stars Sanchez and Ozil for free rather than break the bank to tie them down.